The secret to oral health is prevention. 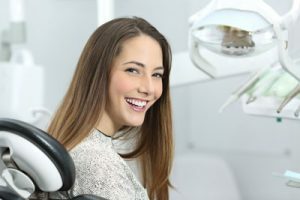 Those who are proactive and take care of their teeth, gums and tongue on a daily basis will stand that much better of a chance to enjoy a lovely smile and a good continued oral health. However, there are some secrets to oral health beyond brushing and flossing in a proactive manner. Here is a look at the secrets to oral health that you will rarely hear anyone discuss yet certainly exist. When brushing your teeth, your focus should be on the gums as well as the teeth. So be sure to brush down along the gum line as well as the teeth. Furthermore, you should brush your tongue and the roof of your mouth to boot. Keep in mind brushing your teeth will only perform a light clean. The dentist's unique tools are necessary to clean away the soft plaque that builds up along your teeth. If you do not want to floss and brush after each meal, chew sugarless gum with xylitol instead. Xylitol is a natural sweetener that tastes good and combats cavities. So go ahead and pop in a piece of gum with xylitol after snacking or eating and your mouth will stand that much better of a chance to remain healthy across posterity. Cleaning the teeth with your toothbrush and floss will only clean reachable portions of the teeth and gums. You need to visit with your dentist every six months for a deep clean. Furthermore, using a fluoridated mouthwash will help clean those spaces your toothbrush cannot reach. In fact, some mouthwashes have xylitol and sodium fluoride for added protection and strength. The mouth's pH level is an important factor in oral health. Inflammation and bacteria tend to thrive in acidic environments. Figure out the pH level of foods, beverages and other products you use. Finish off your meals and snacks with alkalized food to keep the pH level of your mouth in check. Examples include cucumbers, nuts, pineapple and cheese. Or, go ahead and use xylitol mints, xylitol gum and plain granules to thwart tooth decay following a meal/snack. There is a good chance someone sitting near your cubicle or office has benefited from cosmetic dentistry. Modern-day dental treatments and procedures can conceal and repair damaged, unsightly and decaying teeth. A cosmetic dentist will enhance the functionality as well as the beauty of your teeth. The possible solutions range from dental implants to dental bonding, dental crowns, dental veneers, dentures and beyond. These restorations and artificial teeth will help you eat, talk, smile and interact with others without worry about the teeth and gums. Just as important is the fact that such restorations will improve your oral health and tooth/gum functionality to boot. Call (206) 408-8541 to schedule an appointment with Des Moines Dental Center in our Des Moines dental office.